If ever there was proof in the pudding that some half-baked ideas really do pay off then, My Cookie Dough is it. The food store, which has a base in Lower Mall of Birmingham's Bullring Shopping Centre, uses biscuits when they are half cooked and still gooey yet crumbly for its delicious sweet offerings. 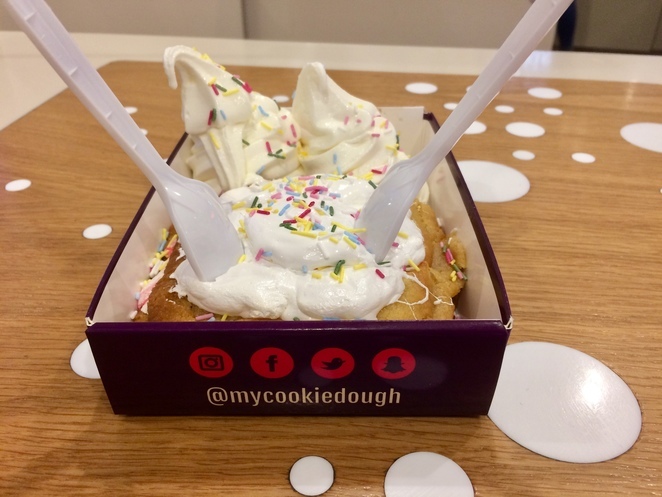 My Cookie Dough keeps things fresh by constantly adding new specials, especially for its 'stack' selections that consist of layer after layer of warm cookie dough, ice cream and sauces. 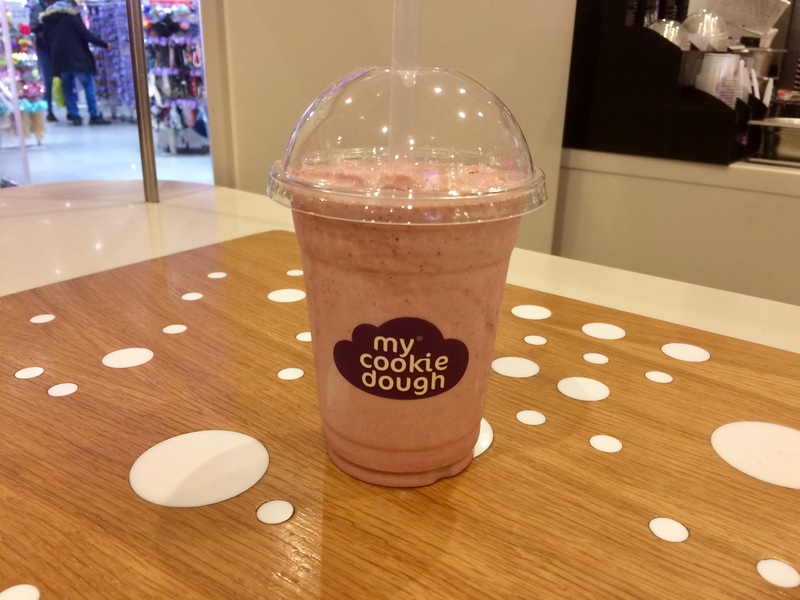 At Christmas, the Billionaire Cookie Dough and Gold Cookie Dough were added and since then, there have been new concoctions plus red velvet shakes and clouds to try too (more on clouds later). 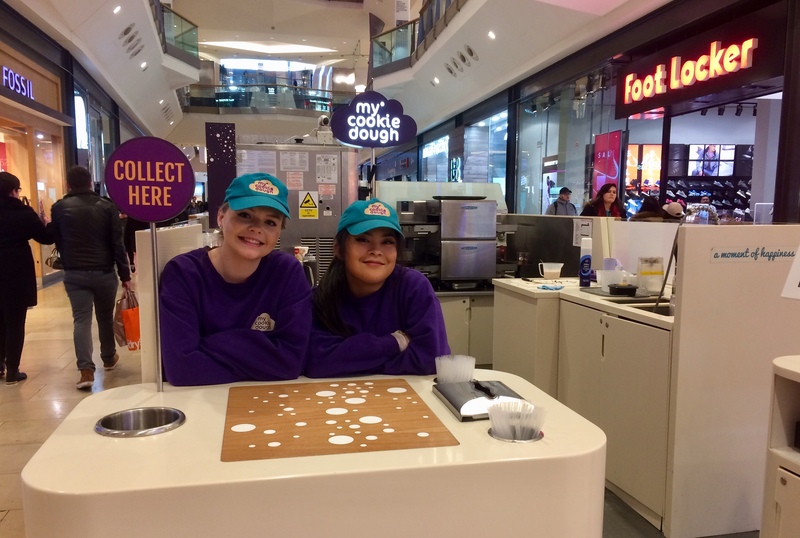 My Cookie Dough is the brainchild of product developers Angie and Rick, who keep on top of latest food trends to ensure they can keep launching limited edition new offerings. Some of these include Birthday Cake and Movie Night flavours. When I visited the Birmingham store, the friendly staff cooked up a Birthday Cake Stack for me first of all and accompanied it with a red velvet shake, or dough shakes as they like to call them. Those with a sweet-tooth should be watering at the mouth by now and, believe me, you won't be disappointed. The stack has warm freshly-baked dough topped with a soft, creamed marshmallow on top plus smooth ice cream with sprinkles that add that birthday cake feeling to the mix. It's a well thought out mix of flavours that are not too overly sweet and taste bizarrely similar to a birthday cake. The red velvet dough shake is thick as it combines ice cream and cookie dough into a drink format. It's a shot of sweet, sharp, creamy decadence - but, be warned, you won't be able to overload on too much of this. If you want an even bigger sugar challenge, there's also the 'cloud' drink, which is not for the faint-hearted. 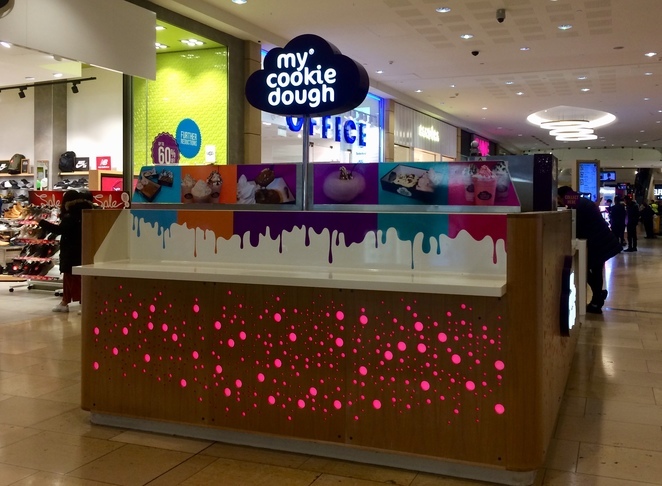 This is the heady mix of candy floss cloud mixed with fresh ice cream and cookie dough. They come in a range of flavours from salted caramel brownie to peanut butter and chocolate... Or just chocolate if you want to be radical. The second stack we were offered was another seasonal special of the Movie Night Stack and was a stark change from the Birthday Cake. 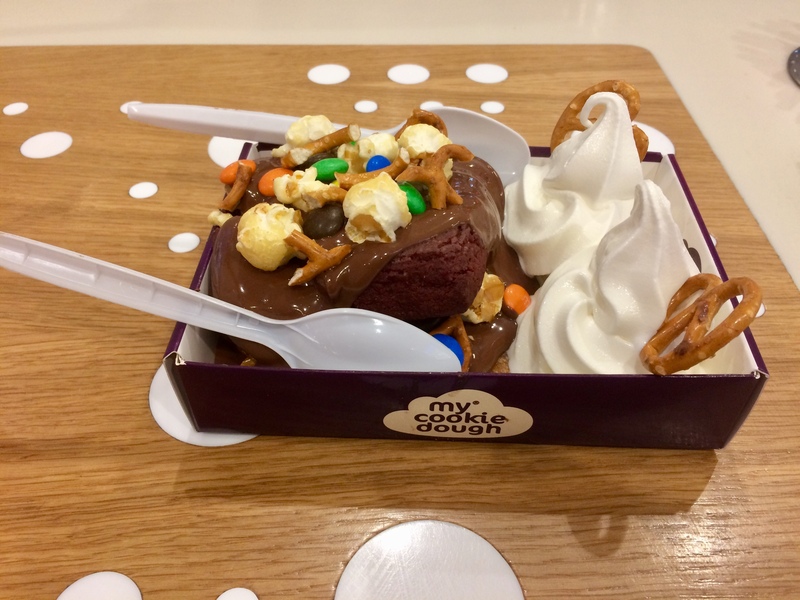 The Movie Night Stack brought together the saltiness of popcorn and pretzels with the sweetness of intense chocolate cookie dough, chocolate sauce and ice cream. This was a more complex set of flavours that will divide the crowd, but are no less interesting. It's a nod to the cinema with a sentimental combination of flavours most associated with the movies. Whether I want them all together in one dessert is another matter but I'm sure this stack will appeal to those who like their sweet and sour on one plate. For those who want to keep things simpler than a stack, there are cookie dough options like Nutella, peanut butter and chocolate, red velvet, white chocolate and raspberry and many more that come with ice cream. Prices start from around £3.50. It may take the biscuit but this half-baked idea really has got a lot going for it - it's deliciously soft, sweet and totally indulgent.